Age-related macular degeneration or ARMD is a disease that affects the central area of the retina, the macula. As its name suggests, it is a degenerative disease that progresses with age. 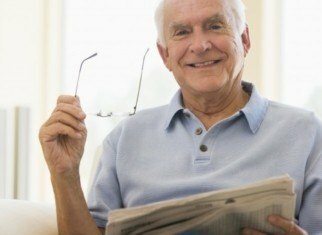 Age-related macular degeneration affects the central area of the retina, the macula, and causes central vision problems, difficulty recognizing faces and reading, etc. Genetic factors and unhealthy habits (poor diet, smoking, lack of exercise) influence the appearance and progression of the illness. What types of ARMD exist? Dry ARMD (atrophic ARMD to give it its scientific name) in which the tissue of the macular area atrophies and thins. In some cases dry or atrophic ARMD can develop into wet or exudative ARMD. 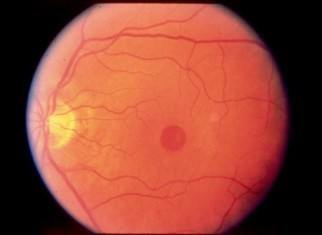 Wet or exudative ARMD, in which there is a thickening of the macular tissue due to swelling or the appearance of neovessels (abnormal vessels or small varicose veins that grow under the retina in the macular area and can cause bleeding, swelling and for liquid to gather and an increase in the thickness of the zone). In advanced stages of wet ARMD, atrophied tissue may also appear in the macular area. There are other less common types of ARMD (known as rare forms of ARMD). What are the causes? Can it be prevented? Many patients are familiar with ARMD because they have a family history of the condition. They often have relatives that went blind later in life or gradually lost their vision. Others meanwhile have not heard of the illness and are unaware of anyone in their family who has suffered from it. This is because there are less aggressive forms of ARMD or perhaps they did not have contact with sufferers of the disease in their family. There are also other factors involved in ARMD, such as smoking, which has been scientifically proven to accelerate the progression of ARMD. There are also nutritional factors. Following a Mediterranean diet slows down ARMD progression. The diseases that cause alterations in retinal blood vessels, as well as the irrigation and oxygenation of the retina, such as arterial hypertension, diabetes, cholesterol or high level of triglycerides may also accelerate ARMD progression. 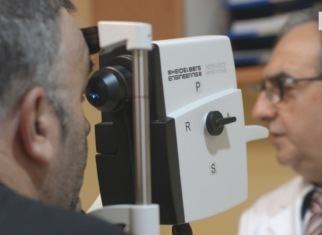 Therefore, it is important that patients suffering from ARMD have regular analysis and examinations with their family doctor in order to diagnose in time and be able to control these diseases, thus avoiding any worsening of their retinal state. Other less studied factors are the incidence of ultraviolet rays, which may speed up ARMD progression. Doing exercise and having a healthy lifestyle in general can help slow down the progression of the illness. What are its symptoms? How can they be diagnosed? 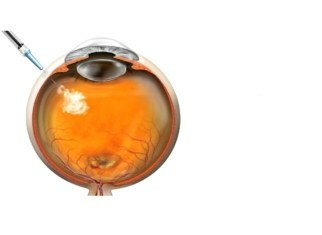 Early stages of ARMD may not have any sym,ptoms, and our ophthalmologists diagnose them them in a routine check-up by observing the patient’s eye fundus, where macular abnormalities can be seen. Other tests may then be requested in order to determine what stage the disease is at and follow its evolution. Patients may lose some vision in one eye without realizing it. That’s why it is important to analyse vision in each eye separately. This can be done by alternatively covering one eye and then the other (occlusion). Ophthalmologists recommend that patients affected by ARMD perform a simple vision test (known as Amsler test) at home so as to detect changes to or worsening of central vision as early as possible. How is it diagnosed? Are tests required? What do they involve? ARMD is diagnosed by ophthalmologists by examining the ocular fundus and carrying out a complete exam on the patient if macular abnormalities are detected. In specific cases, tests for contrast, colour vision, electrophysiology etc can also be requested. Is there a cure? How can it be treated? There is no cure for ARMD, but nowadays there are treatments which can slow it down, especially in the case of dry ARMD. Wet ARMD is normally more aggressive and develops more quickly than dry ARMD. We have treatments that are drugs that we can inject into the eye and thus slow down the progress of wet ARMD. 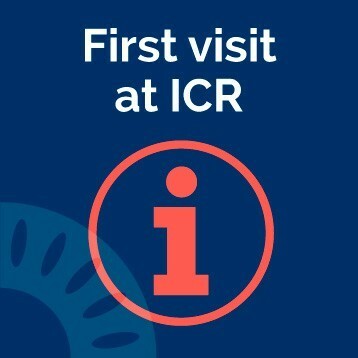 Patients undergoing treatment for ARMD with injections will need to attend many visits and check-ups because the drugs we currently use have a duration of a few weeks. Patients will therefore need to come to several check-ups and have various tests. Although some patients may stabilise, that is not to say that their condition will remain stable. ARMD is a progressive disease and at any moment patients may experience a new bout and require treatment again. 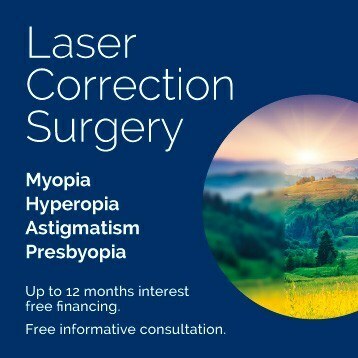 Intravitreal injections are a procedure which does not hurt because the eye is anaesthetised before the drug is injected. This anaesthesia can be carried out using eye drops (topical anaesthesia), or injecting anaesthetic into the zone where the intravitreal injection will be administered (subconjunctival anaesthesia). This is a treatment that is carried out in just a few minutes, on an outpatient basis, and does not require hospital admission. It is important that the patient collaborates and follows the instructions given. In the case of patients who do not collaborate (for example those with Alzheimer) injections may be administered under sedation. There is currently no cure for DRY ARMD, or drugs that we can inject into the eye to slow down its evolution (as occurs with wet ARMD). Nutritional supplements may be prescribed, especially during the early stages of wet ARMD, as multiple studies show this may slow down the evolution of the disease. 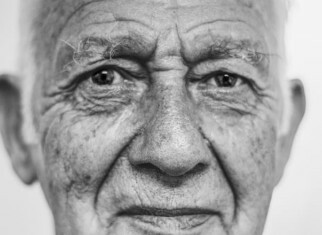 ARMD is a well-researched disease, as it is the first cause of blindness in elderly patients. This has awaken a great level of interest in finding a remedial treatment or better treatments to stop the disease. There are several ongoing clinical studies that may lead in a few years to better and more efficient treatments that the ones currently available. In the future, we hope for medicines that last longer and reduce the patient’s burden of tests and visits, which usually makes for a hard situation, as patients affected by ARMD usually require the help of their relatives. The onset of the disease may be delayed and its evolution may be slowed down by eating a healthy diet, not smoking and doing a test once a year to rule out diseases that affect the retina, such as diabetes, high cholesterol, and high triglycerides, watching blood pressure etc. If any of these diseases are present, it is important to carry out the necessary tests. Moreover, some studies have shown that taking nutritional supplements can slow down the progression of dry or atrophying ARMD. Many of the patients affected by ARMD have a family history of the disease, as it is a condition that may be hereditary. Therefore, some people who have met relatives suffering from this disease, come to undergo routine tests in order to rule out the disease. Some patients are affected by aggressive ARMD forms that progress very quickly. Despite the current treatments and advices, sometimes the fast vision loss cannot be stopped in these patients. Therefore, it is important to diagnose the disease in early stages and undergo routine tests regularly when the patient has a family history of the disease.